Paytm CEO Vijay Shekhar Sharma has had an eventful last few months. He’s seen his company shoot into national spotlight after the government’s demonetization move. He’s seen his company be attacked by opposition parties for its alleged close ties with the government. He’s seen competitors – which included nationalized banks – talk disparagingly about his Chinese investors. He’s seen his charged performance at a company party become a topic of national debate. And all this while, he’s seen Paytm’s userbase grow – it now has 20 crore users, which is nearly one in six Indians. The last few months have also been kind to Sharma’s bank balance. In the latest Hurun Rich List for 2017, he’s listed as the youngest Indian billionaire. 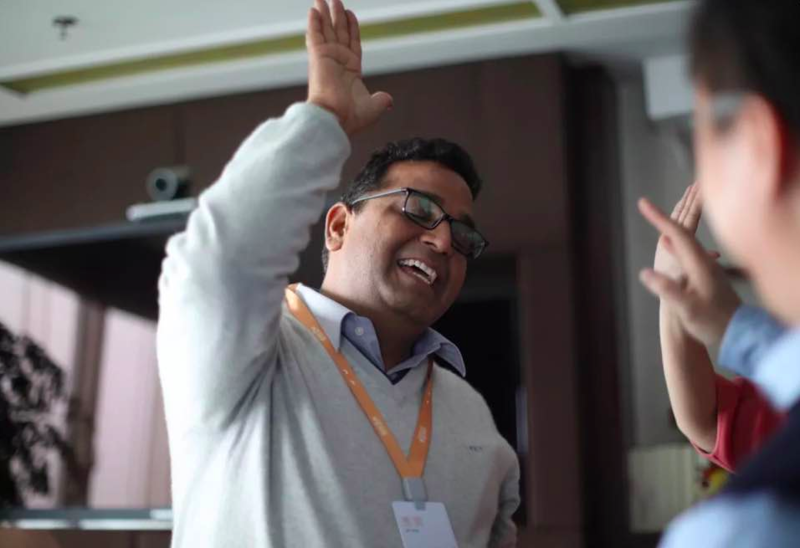 At 38, Vijay Shekhar Sharma is now worth $1.5 billion (Rs. 10,000 crore). Sharma’s achievement is doubly impressive because he’s now the only billionaire startup founder in India – Flipkart founders Sachin Bansal and Binny Bansal, who’d made the list in 2016, haven’t managed to find a place this year. In 2016, Sachin and Binny Bansal had been listed as having identical net worths of $1.4 billion each, but with Flipkart’s constant devalutions by investors, have now dropped out. Sharma, who wasn’t on the list in 2016, is now ranked as the 61st richest Indian. The full list retains some familiar names – Mukesh Ambani continues to be the recent Indian with a net worth of $26 billion (Rs. 1,76,800 crore). He’s followed by Dilip Sanghvi and Pallonji Mistry, who have net worths of $14 billion and $12 billion respectively. The list doesn’t have many women, but Kiran Mazumdar Shaw ($1.9 billion) and Indu Jain ($3.7 billion) from the Times Group are some prominent names. But the youngest member on the list – Sharma – has had one of the most incredible journeys to the top. Sharma was born in Aligarh to a schoolteacher and a homemaker, and his family didn’t have a television set growing up. He’d done well in school though, joining the Delhi College of Engineering when he was just 15. In college, he’d been bullied and struggled to keep up with the curriculum, for he spoke little English. He started his first company when he was just 21, but success didn’t come overnight. Just 15 years ago, he says that he had so little money he couldn’t even afford a public bus, and walked long distances. “I just had enough money for tea,” he says. Things sure have come a long way since then. Today Sharma retains a 19% stake in one of India’s hottest startups, and his ambitions have moved slightly beyond tea. “I plan to buy a Rolex when Paytm’s valuation hits $10 billion,” he laughs.